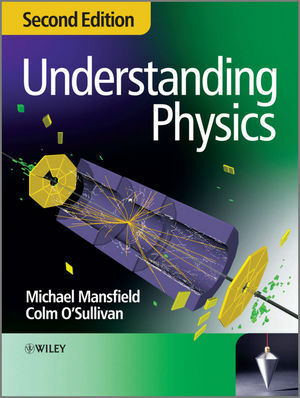 Understanding Physics – Second edition is a comprehensive, yet compact, introductory physics textbook aimed at physics undergraduates and also at engineers and other scientists taking a general physics course. Written with today's students in mind, this text covers the core material required by an introductory course in a clear and refreshing way. A second colour is used throughout to enhance learning and understanding. Each topic is introduced from first principles so that the text is suitable for students without a prior background in physics. At the same time the book is designed to enable students to proceed easily to subsequent courses in physics and may be used to support such courses. Mathematical methods (in particular, calculus and vector analysis) are introduced within the text as the need arises and are presented in the context of the physical problems which they are used to analyse. Particular aims of the book are to demonstrate to students that the easiest, most concise and least ambiguous way to express and describe phenomena in physics is by using the language of mathematics and that, at this level, the total amount of mathematics required is neither large nor particularly demanding. 'Modern physics' topics (relativity and quantum mechanics) are introduced at an earlier stage than is usually found in introductory textbooks and are integrated with the more 'classical' material from which they have evolved. This book encourages students to develop an intuition for relativistic and quantum concepts at as early a stage as is practicable. The text takes a reflective approach towards the scientific method at all stages and, in keeping with the title of the text, emphasis is placed on understanding of, and insight into, the material presented. Michael Mansfield is a professor in the Department of Physics at University College Cork (Ireland). Professor Mansfield was awarded a BSc and a PhD by Imperial College London (UK) and a DSc by the National University of Ireland. He has held research and teaching appointments at universities and research institutes in Italy, Germany, UK, and Ireland. At University College Cork, he heads an atomic and molecular / plasma physics diagnostics research programme. He has published more than 60 research and review papers in this area. He is a member of the Institute of Physics and the Irish Fusion Association. Colm O'Sullivan is Associate Professor (Emeritus) in the Physics Department, University College Cork, Ireland. He was educated at the National University of Ireland and received his PhD at the Catholic University of America, Washington DC (USA). His research interests include cosmic ray astrophysics and physics Education. Professor O'Sullivan is also involved in the EU Leonardo da Vinci 2 (Community Vocational Training Action Programme). The main objective of the ComLab project is to integrate different tools in science and technology teaching. He is co-author with Michael Mansfield of the textbook Understanding Physics published by Wiley / Praxis (January 1998). Instructor Companion Site Click here to find supplementary material. Student Companion Site Click here to find supplementary material.